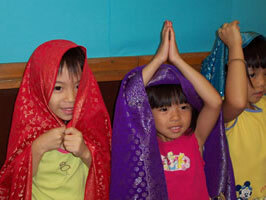 11 Multicultural & Environmental Performances to choose from! All programs are loaded with audience participation & include teacher study guides! 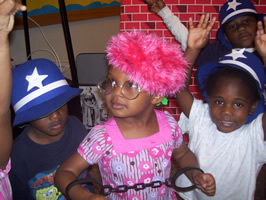 Escape slavery with Harriet Tubman, free the slaves with Abraham Lincoln, sit on the bus with Rosa Parks and march with Dr. Martin Luther King Jr. Kidworks actors narrate as volunteers from the audience role-play history with costumes. Follow Bobby, a modern day texter, who travels back in time via his iPhone and GPS tracking system and meets Michelangelo, Shakespeare, the Impressionists, Frida Kahlo & more...while discovering the importance of art in everyday life. 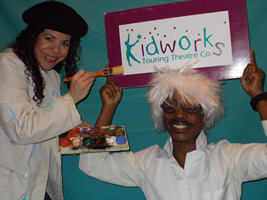 Join Kidworks in an interactive performance where Science, Technology, Engineering, Arts and Math come together to save the world. This program is loaded with fun-filled, educational material, while encouraging students to go to college, be team players and trust their creative thinking. Endangered Animals! What's a Kid to Do? 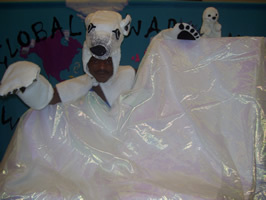 Poaching, Pollution, Predators, Plastic...what's a polar bear, sea turtle, penguin, monkey, elephant and gray whale to do? 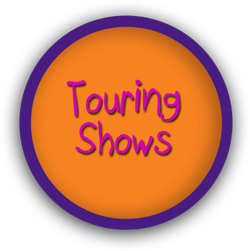 Join Kidworks in our mock TV News show, as we travel around the world, visiting threatened animal habitats and learning positive ways children can save them. This program is loaded with educational information and audience participation... and is guaranteed to bring out the animal activist in us all! Global Warming! What's a kid to do? 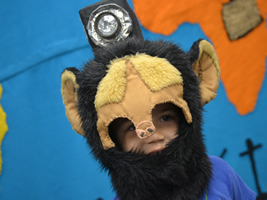 Come travel to the Arctic, Antarctica, Australia, the Amazon and back to Chicago, as Kidworks actors portray TV newscasters uncovering the scoop on endangered animals and trees. Volunteers from the audience portray monkeys, penguins, and fish in the Great Barrier Reef...as all are inspired to recycle and make a difference on this planet. Come spin the Chanukah Dreidel, act out "The First Christmas Tree" Story from Germany, beat the drum in a Kwanzaa Ceremony, join our Mariachi Band in Feliz Navidad, and parade under the Chinese Dragon. 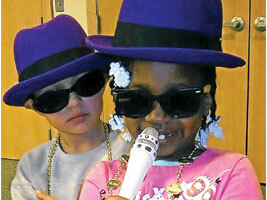 This multicultural program will have you singing on your way out the door! From the first musical instrument in Mesopotamia, to Ancient Egyptian belly dancing, West African Drum Circles, the Chinese Peking Opera, Classical Symphony Music, Native America Pow-Wows...to Hip Hop dancing...Kidworks takes the audience on a world-wind tour of music history, with authentic instruments for all!!! 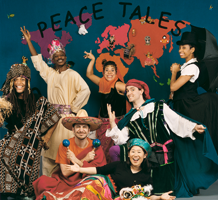 Come travel to Africa, the Middle East, India, China, Mexico, Jamaica and Native America...as stories, dances and traditions come to life. 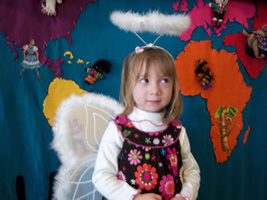 Perfect for multicultural celebrations and family reading nights! Join Kidworks as we lead the audience on a time-travel tour from the Old School Days to the New School Era...bringing alive beat boxing, dancing, rapping, DJing and the true meaning of rap as a means of bringing peace to the community. Loaded with audience participation, costumes and music...this show will get both students and old school teachers dancing...get ready to jam!!!! 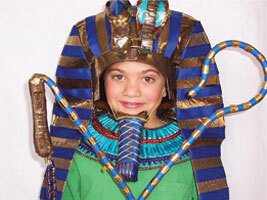 Come build a pyramid, act out a mummification ceremony, dress as King Tut, and bow to Cleopatra. 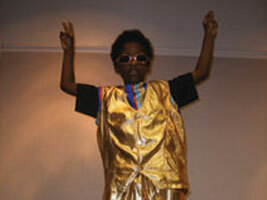 Kidworks brings Ancient Egyptian history to life with beautiful costumes, dancing and fun for all.